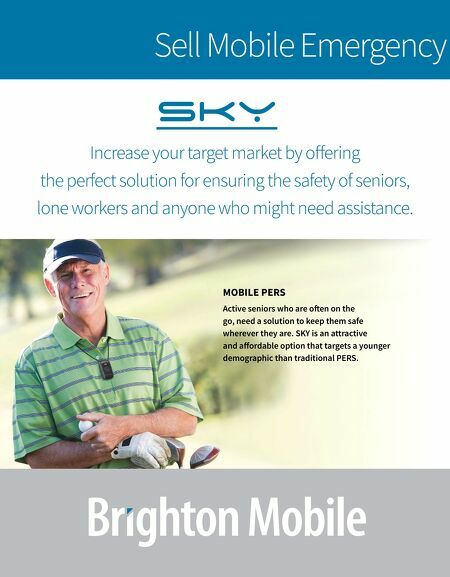 Sell Mobile Emergency SKY Increase your target market by off ering the perfect solution for ensuring the safety of seniors, lone workers and anyone who might need assistance. 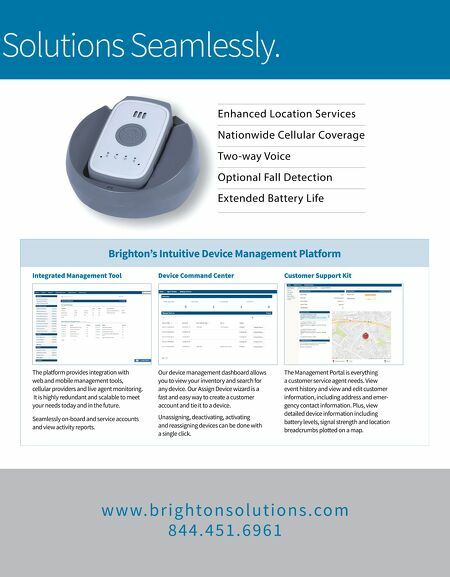 MOBILE PERS Active seniors who are o en on the go, need a solution to keep them safe wherever they are. SKY is an attractive and aff ordable option that targets a younger demographic than traditional PERS.